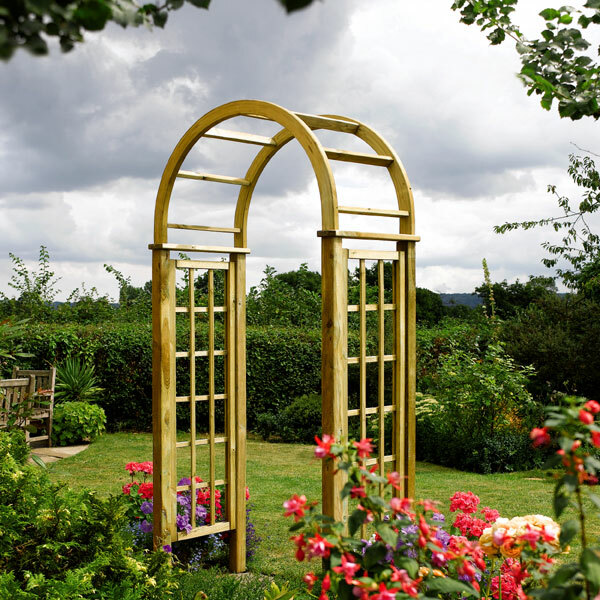 Love the beauty and versatility of an FSC wooden garden arch and this one has been exquisitely crafted to be a visual focal point in the garden. 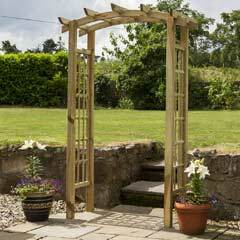 Add climbing flowers and plants to add that extra decorative touch. 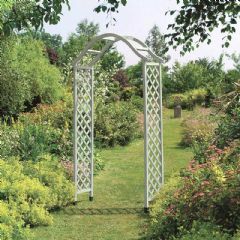 You can really get dramatic with arches and use them to divide and separate different areas of the garden. 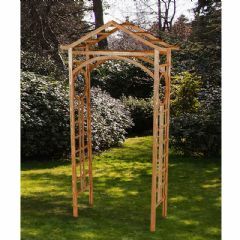 This arch is manufactured from a pressure treated FSC Certified wooden mixture of Spruce, Fir and Pine. 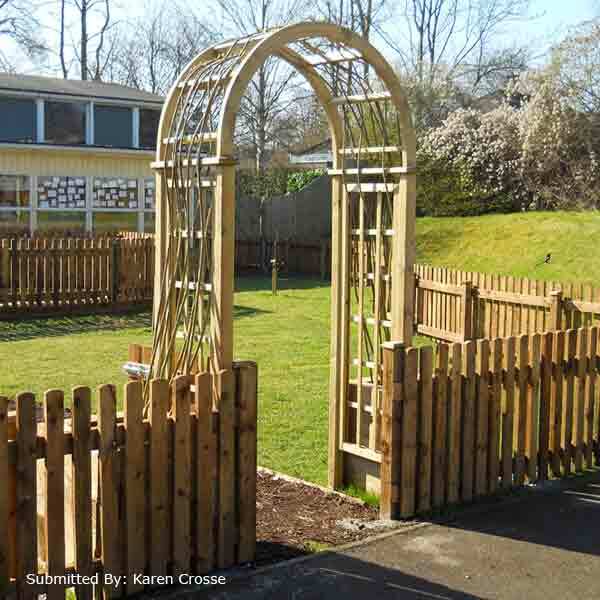 Wood Species: FSC Certified Wood Mixture: Spruce, Fir and Pine. Please Note: This product will arrive flat-packed and some assembly will be required. 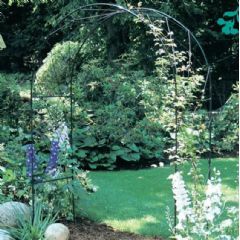 A rose arch of excellent quality, the top arch can be assembled by one person but two people are needed to complete the construction and move it to its final position. The wood is rot proofed, in addition I have Ronsealed it to give it further protection and to give it a light brown colour. 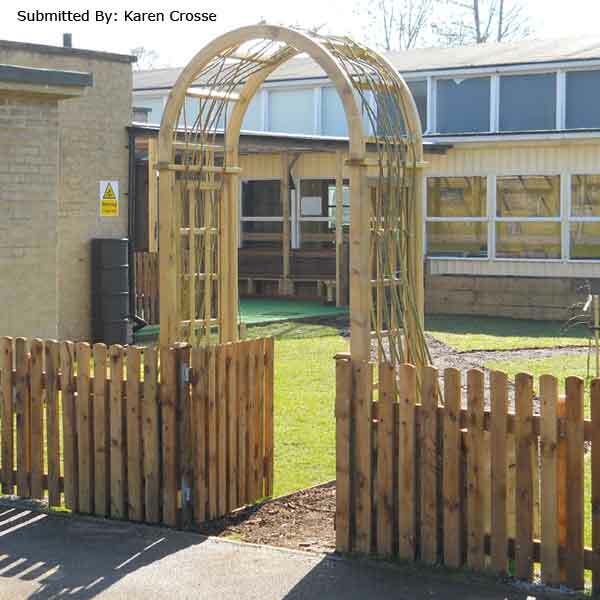 Greenfingers delivered it on time and at the best price so they are highly recommended. 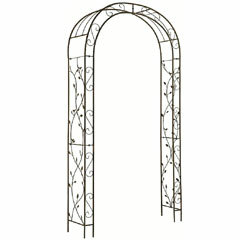 The arch is a good shape and solidly built, appearing stronger than I had thought which is good. Delivery took longer than specified and was confused - not great. 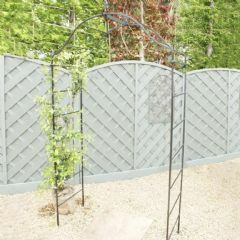 I have assembled the arch but have yet to connect that to the two supports as three people will be needed to hold the elements steady while the screws are tightened. Guide holes for this last stage do not look right but that probably won't matter. Looks great, but some extra work required. Delighted, the finished arch looks most imposing. Easy to assemble. One grumble, when delivered there was a lot of moisture in the shrink wrapping. I kept the arch indoors for a week before painting. I was disappointed in this product. It arrived without a fixing kit and was very hard to assemble. 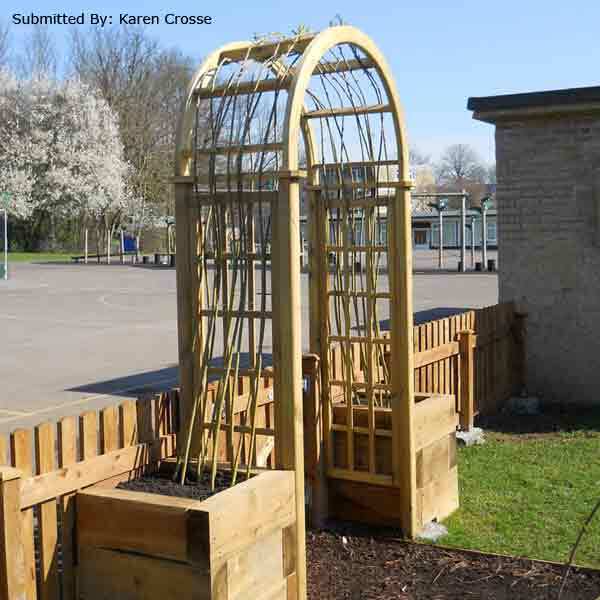 It was impossible to do what the instruction said for the final stage and when I rang the helpline the man I spoke to agreed that you had to put the screws to fix the side panels on in at an angle as there was no other way to do it which seems very unsatisfactory. The arch is now up and looks nice but I wonder how long it will last. We would like to thank the customer in this review for their comments and apologise for any inconvenience caused. 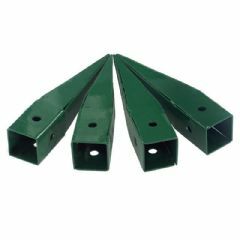 If any customer receives an item they are not totally satisfied with we would ask them to contact us immediately in order for us to resolve the matter.